Virginia Gov. 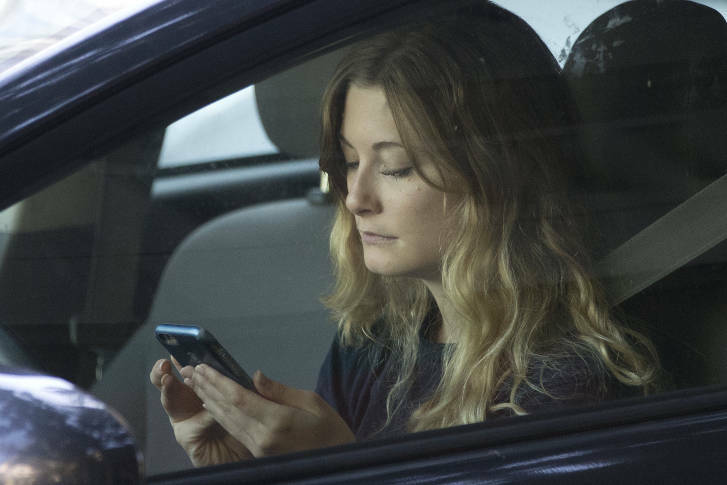 Ralph Northam will try again next year to prohibit drivers from holding cellphones, after a last-ditch effort was ruled out of order in last week's reconvened session. Virginia Gov. Ralph Northam will try again next year to prohibit drivers from holding cellphones, after a last-ditch effort was ruled out of order in last week’s reconvened session of the Virginia General Assembly. “We will be bringing that back,” Northam said. Northam expects to sign the underlying bill now back on his desk that will ban handheld cellphone use only in work zones starting July 1. That will be in addition to existing law — which proved nearly impossible to enforce — that bans only texting behind the wheel. The work zone penalty will be $250. A violation of the more limited no texting rules elsewhere will remain $125 for the first offense, and $250 for a second offense. Bills that would have imposed a blanket ban on handheld cellphone use similar to the ones in Maryland and D.C. had wide support in the General Assembly this winter, but minor differences allowed the bills to be scuttled by a conference committee for the second straight year. Next session could have a different outcome, since all 140 General Assembly seats are on the ballot this fall. Northam’s promise at a Commonwealth Transportation Board meeting on Tuesday about next year, along with his scheduled return to a few campaign events for some General Assembly Democrats are the latest proof Northam fully plans to remain in office despite admitting he once wore blackface. Northam visited the board meeting Tuesday to highlight accomplishments like tougher penalties for drivers who fail to move over or slow down for police, fire or EMS vehicles stopped on the side of the road with flashing lights, and other transportation and safety improvements like the biggest focus of last week’s reconvened session: new truck taxes and fees statewide and an additional gas tax along the Interstate 81 corridor to pay for highway improvements. Work on some of the first most basic improvements relying on the new funding could begin later this year.